We are in the middle of a great war by the First World against the Third World. Poverty. Famine. Suffering. Cruelty. Violence. Bombs. The imperialists of the First World turn the Third World into a giant graveyard. We must fight back! We will fight back! There is a right way and a wrong way to fight back. Those who rush into battle without preparation will only meet defeat. Those who rush off without scientific, communist leadership will be defeated. Those who have no discipline will be defeated. Those who have no organization will be defeated. Those who have no plan will be defeated. As Lenin and Mao taught us, such attitudes are those of the petty-bourgeoisie and bourgeoisie. Real change requires Leading Light Communist leadership, organization, and discipline. If you want to make real change in the real world, then you put aside your individualism, emotionalism and pettiness. You accept the Leading Light Communist Leadership. Leading Light Communists will lead a global people’s war to actually win. Our war is global people’s war. It is a war to end all war. It is a war of liberation. If we do not stand up and defend ourselves, nothing will ever change. Global people’s war is the road to global liberation, to global power. In this sense, People’s war, broadly construed, is universal. There are certain universal truths of people’s war. People’s war must be carried through to the end. A people’s war cannot be turned on and off like a light. People’s war is not a high-stakes pressure tactic to reform current institutions. It is not armed reformism. It is a method for seizing total power and building a new society. It is a complex strategy of all-round revolution, not simply a military affair. The new society is born through the people’s war. People’s war is, ultimately, global. It is internationalist. For much of the Third World, people’s war will look like the protracted people’s war led by Mao in China. In areas whose material conditions permit, much of Asia, Africa and Latin America, people’s war will closely resemble the form it took in China. However, the form of people’s war associated with China does presuppose that certain geographic and social conditions pertain. Mao was the first to admit that people’s war as practiced in China may not be applicable everywhere and should not be mechanically applied without regard for local conditions. The Chinese comrades early on had a struggle with the “Twenty-Eight and a Half Bolsheviks,” who had spent a few years in the Soviet Union and thought that they should be given carte blanche to barge in and apply their conception of Soviet practices to the fledgling people’s war in China. Mao would agree that Chinese template would be the wrong approach for certain countries, for reasons such as geography, demographics, and class structure. For example, the Chinese template may not be the best one for Chile, a thin country with a largely urban population. The approach might have to be modified–perhaps through a united front with the communist forces in Argentina–or else replaced by something more practical for Chile. On the other hand, Peru seems very well adapted to the Chinese model, as the experience of the Mao-inspired revolutionaries there shows. The emerging global slum will play more and more a role in the people’s wars of the future. People’s wars of the future will not advance necessarily from countryside to city. These are issues that have to be worked out by scientific communists who know their local conditions. People’s wars in individual locations are part of a broader global people’s war as described in Lin Biao’s Long Live the Victory of People’s War! The First World countries are the “global cities,” and the Third World countries are the “global countryside.” People’s war at the global level will become a reality as parts of the Third World, one by one, become revolutionary base areas–socialist countries–that gradually encircle the First World, ultimately defeating it and subjecting it to the dictatorship of the Third World proletariat. These Third World people’s wars advance wave upon wave against the First World. Ultimately, this results in the destruction of the First World and, eventually, to global victory for socialism and communism. We live in a very dark time. The international communist movement is shattered. However, the situation is very dynamic. Eventually, the objective and subjective will line up. 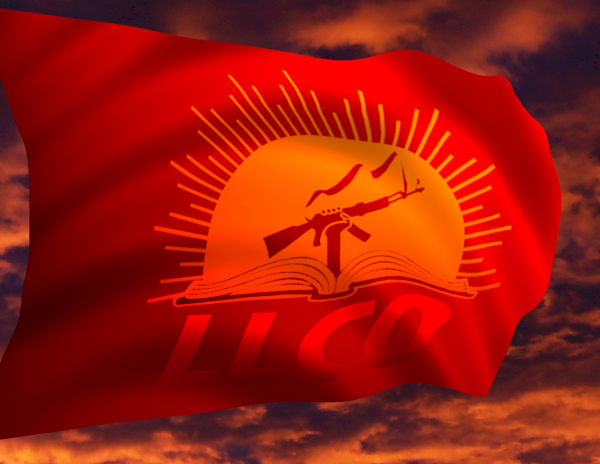 Eventually, local people’s wars under proletarian leadership will raise the red flag of Leading Light Communism. We have made the breakthrough. It is only a matter of time. We are a movement of heroes! The future will be glorious!